3d Man And Puzzle With Word Patient Care Medical PowerPoint Templates And PowerPoint Themes 1012-"Microsoft Powerpoint Templates and Background with person with pieces of puzzle and word patient care"-3d Man And Puzzle With Word Patient Care Medical PowerPoint Templates And PowerPoint Themes 1012-This PowerPoint template can be used for presentations relating to-"Person with pieces of puzzle and word patient care, people, medical, puzzles or jigsaws, health, business" Break barriers with our 3d Man And Puzzle With Word Patient Care Medical PowerPoint Templates And PowerPoint Themes 1012. You will come out on top. Raise the level of enthusiasm. 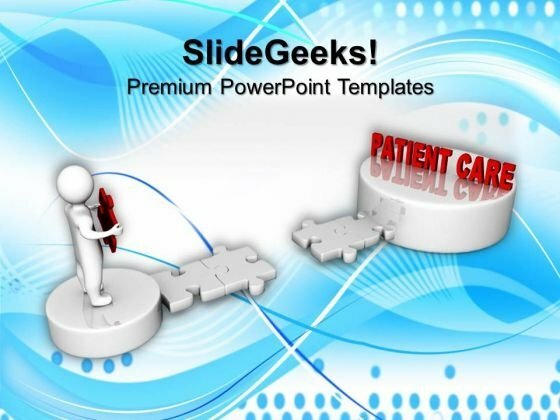 Our 3d Man And Puzzle With Word Patient Care Medical PowerPoint Templates And PowerPoint Themes 1012 will give it a raise.